“Take Control of Your Health” is an evidence-based Chronic Disease Self-Management Program (CDSMP) offered in your area. The workshops are self-management education for adults aged 18+, with chronic health conditions like arthritis, cancer, diabetes, heart disease, hypertension, asthma etc. People with more than one chronic condition may find the program especially helpful. The target audience includes those with chronic diseases, their family, friend, spouse, and/or caregivers. CDSMP is a series of weekly 2.5 hour long classes for 6 weeks. Participants learn techniques for coping with the physical and psychological effects of chronic disease, and strategies for reducing symptoms and disability. Among the proven benefits, participants report less pain, fatigue, and depression; more energy; better communication with their physicians; better overall health; and increased confidence that they can manage their health. 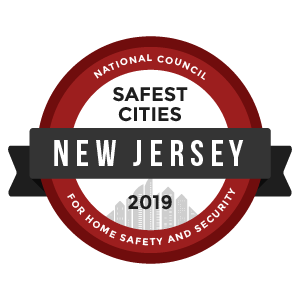 Thanks to funding from the National Association of County & City Health Officials, and from the New Jersey Department of Human Services, several Local Health Departments have come together to offer this program. Hillsborough and Montgomery’s Health Departments are proud to be partnering with the Mayor’s Wellness Campaign for this effort. To learn more about this FREE workshop or to register please contact Devangi Patel at 908-533-9331 (Health Educator) or email dpatel@twp.montgomery.nj.us . Class size is limited.